Born in Turin, they studied at the city's university and graduated in Medicine and Surgery before going on to postgraduate studies in General Surgery (Rostan) and Vascular Surgery (Bitossi e Maggio). Their professional collaboration began in 2004, when their common interests in vascular diagnostics, phlebology, advanced surgical techniques and ultrasound led them to create and manage the Vascular Surgery Department at the Cottolengo Hospital in Turin. Together with their friend Daniele Maggio, in 2008 they created and established the Vascular Surgery Unit at the Clinica Cellini of Turin. They have been members of the American College of Phlebology since 2012. The Vein Care Team was founded in 2013, bringing the concept of advanced treatment of varicose disease to fruition. 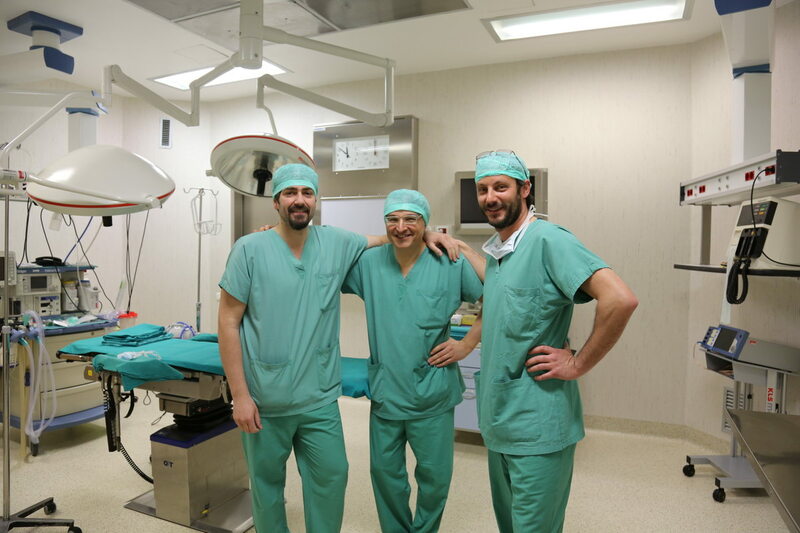 In 2014, the Vein Care Team expanded its operations to the Clinica Promea of Turin, where the endovascular treatment of venous disease reached new heights. They have been interested in vascular diagnostics and the surgical treatment of varicose disease for years. Thanks to their particular passion for mini-invasive and advanced varicose vein treatment techniques, they have gained significant experience in the field of endovascular treatment of varicose disease that is unrivalled in Italy, having personally treated more than 2000 patients by 2014. The Vein Care Team was founded by the surgeons and venous disease treatment specialists Dr. Bitossi, Dr. Rostan and Dr. Maggio. The coming together of this specialist team epitomises the concept of advanced treatment of venous disease. The Vein Care Team actually works in the best hospital facilities to offer state-of-the-art solutions for the treatment of varicose disease and chronic venous disease (CVD). From varicose vein laser treatment procedures to radiofrequency ablation for varicose veins, the Vein Care Team offers a completely painless and discomfort-free solution to varicose veins. If you are looking for genuine varicose disease treatment specialists, find out how varicose vein surgery has become a specialty in its own right and how our dedicated professionals make the difference by offering the world's best surgical care in Italy.